Rt.# 33 from Chocowinity, NC to Clay Bottom School Rd. to Cotton Patch Rd. to Crisp Landing Rd. 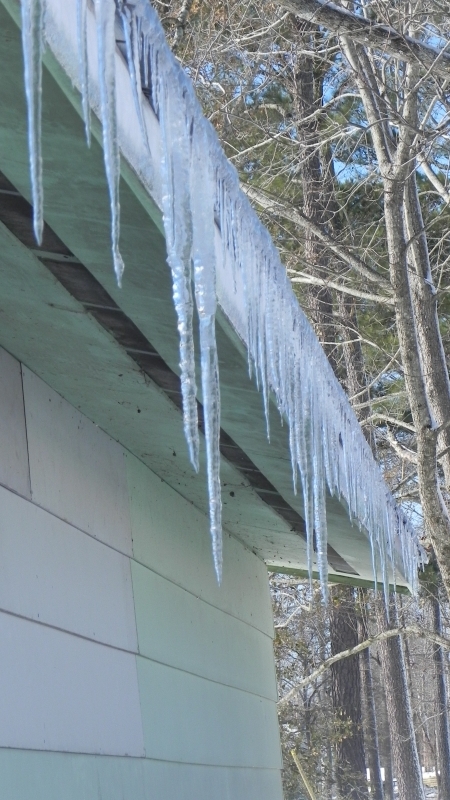 It is very unusual to have these big icicles on the eaves of homes this far south. Icicles on the eaves of our home.